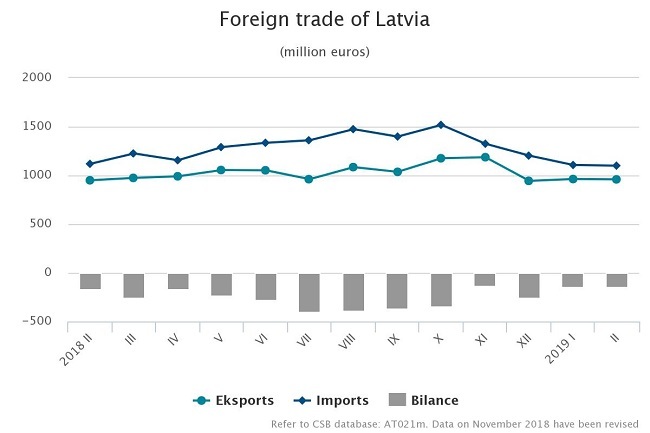 Provisional data of the Central Statistical Bureau show that in February 2019 the foreign trade turnover of Latvia amounted to EUR 2.06 bn, which at current prices was 0.4% less than a year ago, of which the exports value of goods was 1% higher, but imports value of goods was 1.7% lower. 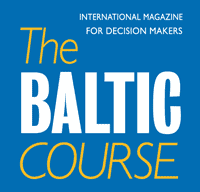 In February, Latvia exported goods in the amount of EUR 959 million, but imported – in the amount of EUR 1.1 bn. Compared to February 2018, foreign trade balance has improved as exports in total foreign trade amount increased from 45.9% to 46.6%. Over the first two months of this year, the foreign trade turnover of Latvia at current prices reached EUR 4.13 bn – EUR 11.8 mln or 0.3% less than in the corresponding period of 2018. The exports value comprised EUR 1.92 bn (an increase of EUR 3.2 mln or 0.2%), whereas the imports value - EUR 2.21 bn (a drop of EUR 15 mln or 0.7%). Calendar and seasonally adjusted data show that, compared to February 2018, in February 2019 the exports value at current prices went up by 0.8%, but the imports value – down by 1.2%, whereas, compared to the previous month, the exports value decreased by 0.02% and the imports value – by 1%. exports of vegetable products down by EUR 11.5 mln or 18.7%. imports of machinery and mechanical appliances; electrical equipment down by EUR 9.7 mln or 4.1%. 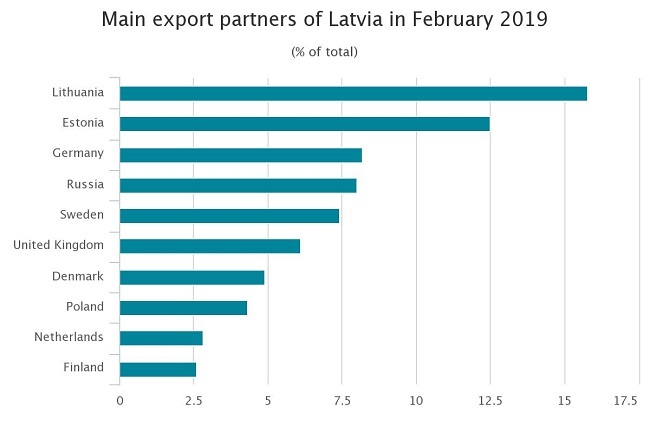 In February, the main export partners of Latvia in trade with EU countries were Lithuania (15.8% of total exports), Estonia (12.5%), Germany (8.2%) and Sweden (7.4%), whereas the main import partners were Lithuania (16.7% of total imports), Germany (12.3%), Poland (9.3%) and Estonia (8%). 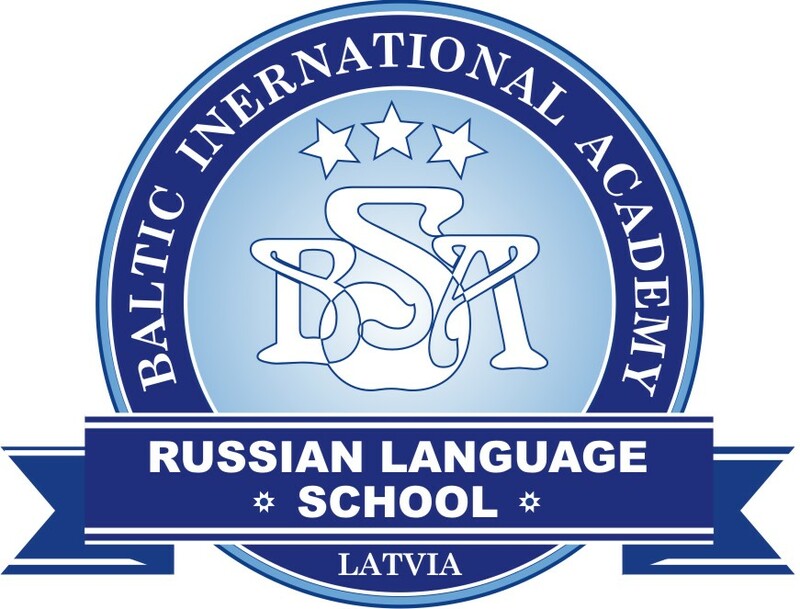 Russia was the main partner in trade with third countries; its share in total Latvian exports in February accounted for 8%, whereas in imports – for 6.9%. 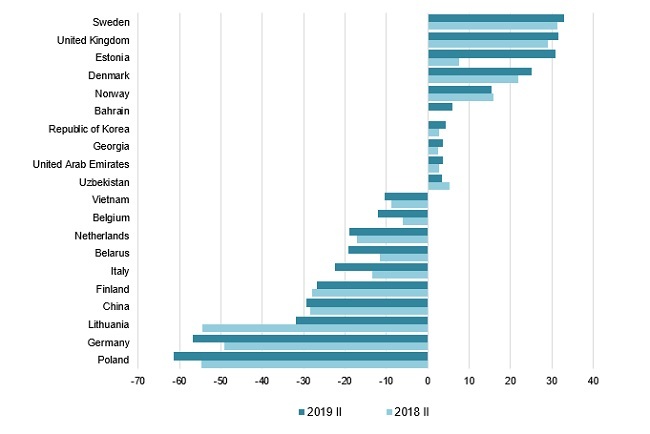 In February 2019, compared to February 2018, share of the European Union countries increased both in total exports and imports value – by 4.2 and 3 percentage points, respectively. Drop in share of CIS countries comprised 0.7 percentage points in exports, but in imports there was a rise of 1.3 percentage points. 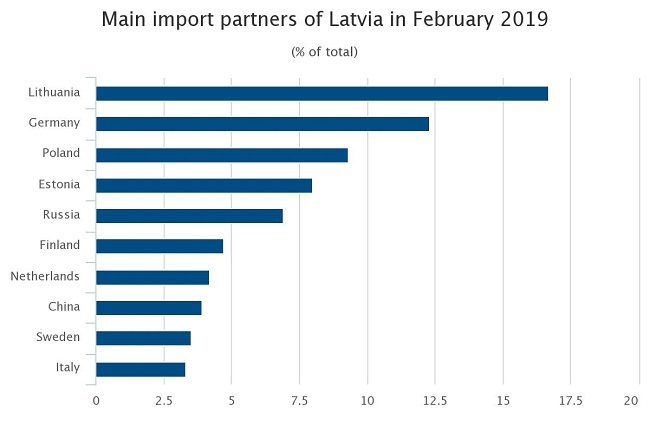 As exports value of goods in February 2019 exceeded imports value of goods, foreign trade balance of Latvia was positive with 117 partner countries. It was negative in trade with 43 countries. Rise of exports of wood and wood products; wood charcoal in February 2019, as compared to February 2018, was affected by the increase in exports of fuelwood of EUR 17.3 mln or 99.4%. But exports of machinery and mechanical appliances reduced as exports of turbojets, turbopropellers and other gas turbines dropped by EUR 22.3 mln. Rise of imports of alcoholic and non-alcoholic beverages in February 2019, as compared to February 2018, was affected by the increase in imports of whiskey by EUR 3.2 mln or 30.1%. In turn, reduction in imports of machinery and mechanical appliances was mostly influenced by decrease in imports of turbojets, turbopropellers and other gas turbines by EUR 13.6 mln or 96.8%.